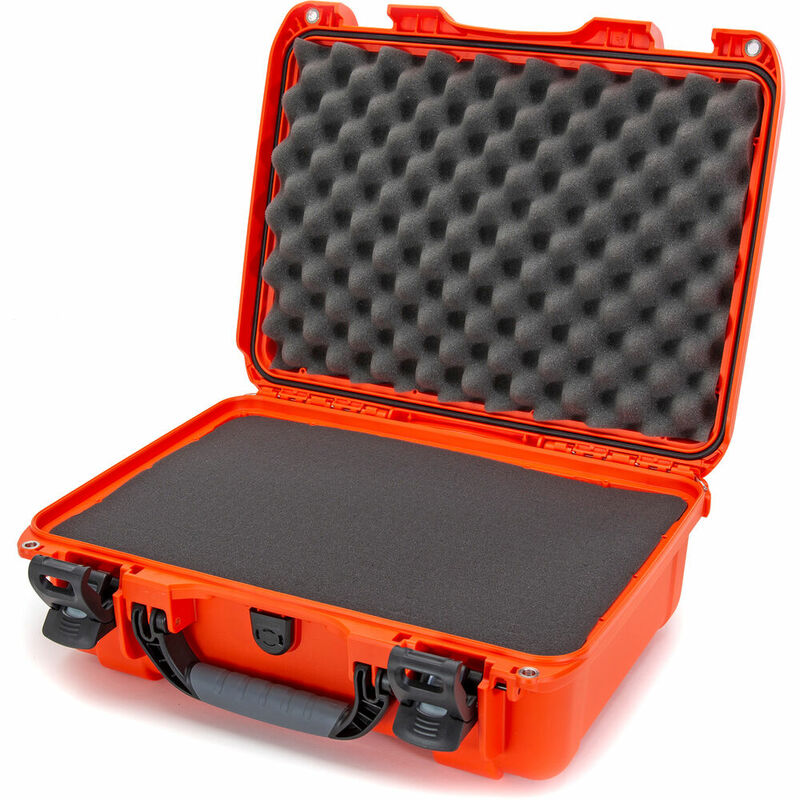 When traveling through inhospitable environments or situations, be sure to protect your valuable gear with the orange 950 Case with Foam from NANUK. A well-designed case, it features Powerclaw latches, two holes for user-supplied padlocks, purge valve, and a bezel system to prevent water intrusion. Lightweight and waterproof, the case has an IP67 rating. Carry the case with the robust top handle. For convenience the handle and the lid will stay in an upright position. The pick-and-pluck foam interior allows for customized gear placement. Made of impact resistant NK-7 resin with stainless steel hardware, the case is strong, durable, and may be stacked. Box Dimensions (LxWxH) 19.291 x 15.748 x 7.559"
925 Case with Foam (Orange) is rated 5.0 out of 5 by 2. Rated 5 out of 5 by Bassmaster 2015 from Rock solid! I bought this case to store my Lowrance HDS 12 graph/chart plotter. It is a great case, especially for the price. I believe you could throw this thing off of a building and everything inside would be fully protected. Really like the perforated foam on the interior, makes it simple to customize the storage area. I highly recommend this case. Rated 5 out of 5 by Carlos from My second box Very good size, that can be kept at home in a wardrobe. Fits one body and easily three (even 4, for small focal) lenses. Its my second Box. There price is also very appropriate. Could I ship materials in this case via FedEx or UPS, or is it for personal carrying only? This case is intended for personal carrying.